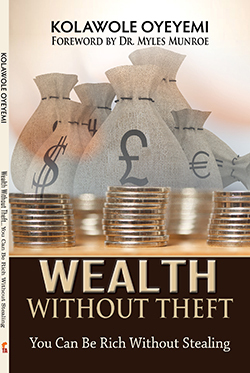 Wealth without Theft is a profound exposition of the biblical truth that righteousness exalts a nation and that serving God in truth does not impoverish. This Holy Spirit inspired book opines that if the prosperity of the saints delights God, then the poverty of the saints saddens Him. God is, therefore, genuinely interested in empowering His saints to prosper. With unerring conviction, Kolawole Oyeyemi affirms that you can be rich without stealing; you can live right, and yet, be rich. This book will show you how.